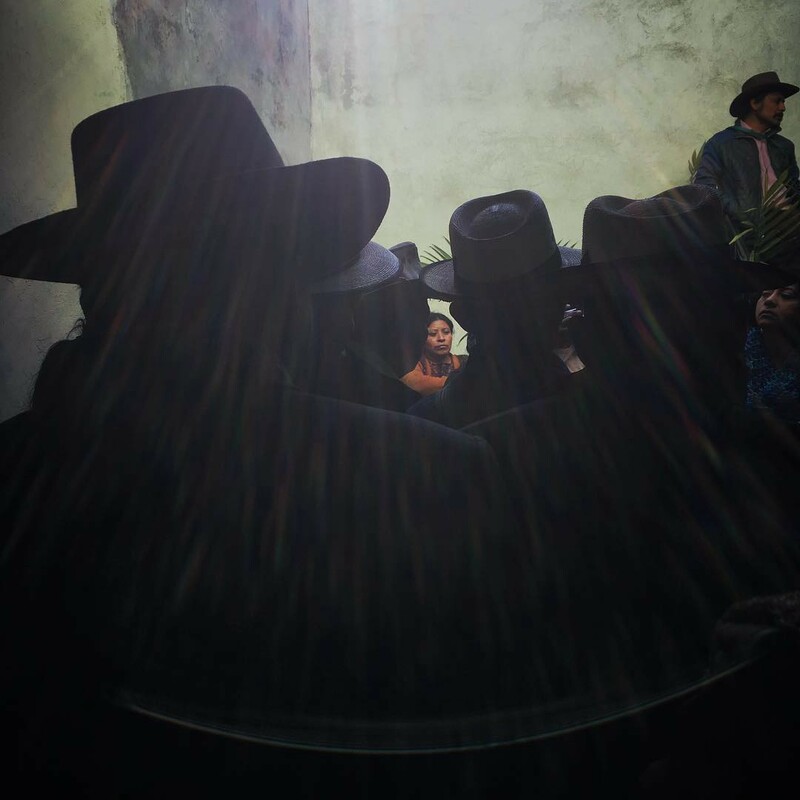 Stella Johnson is a documentary photographer and educator at Boston University and Lesley University’s College of Art and Design with a love for human stories. During her childhood, Stella Johnson remembers her grandma always taking family pictures with a Brownie box camera and says it inspired her to buy her first camera when she was 12. Though she initially pursued art photography, receiving a Bachelor of Fine Arts from San Francisco Art Institute, she was drawn to journalism because she’s a self-described “news junkie”. “I really wanted to start photographing people in a serious way,” said Stella. This desire landed her at Boston University, where she completed her Master’s in Journalism. It was from there that she started driving to Mexico, a country she returned to dozens of times in the past 31 years. Stella’s grandmother immigrated to the United States from the Greek island of Lesbos. 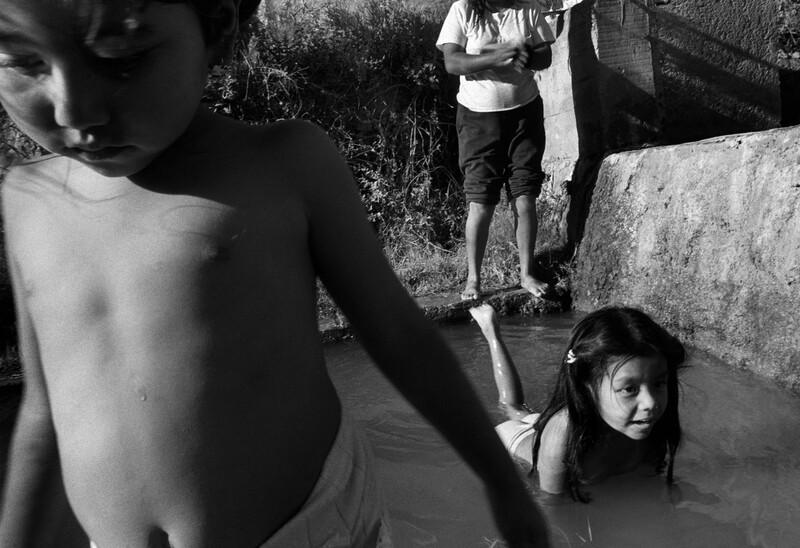 Stella says she was drawn to photographing Mexico because it helped her understand what her grandmother had left: poverty, conflict, lack of resources and hunger. More than that, though, it shaped her love for human stories. 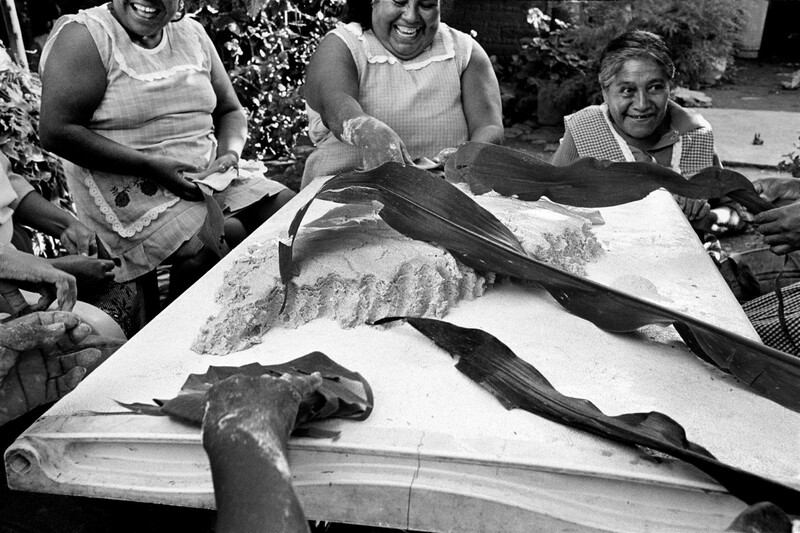 Photographs in Mexico by Stella Johnson from her book, “Al Sol,” which includes images from Mexico, Cameroon and Nicaragua. In 2003 Stella had the opportunity to travel alongside anthropoligsts on a Fulbright Scholar Grant. “I don’t go to a place and stay there for a week, I stay for months. I go into the markets, I go into the villages, I talk to people. I am curious about their lives. 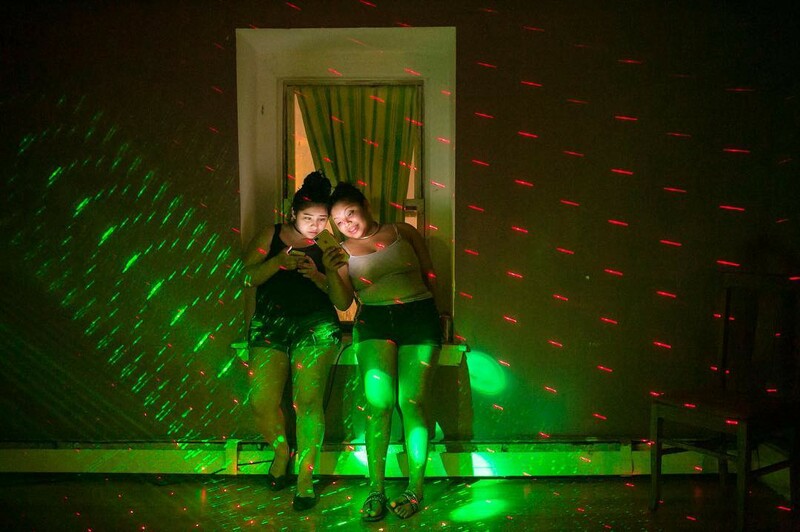 In many ways…[it’s] like visual anthropology,” said Stella. Stella says her work doesn’t pinpoint misery but rather “talks about culture, human beings and daily life” within the context of difficult situations. 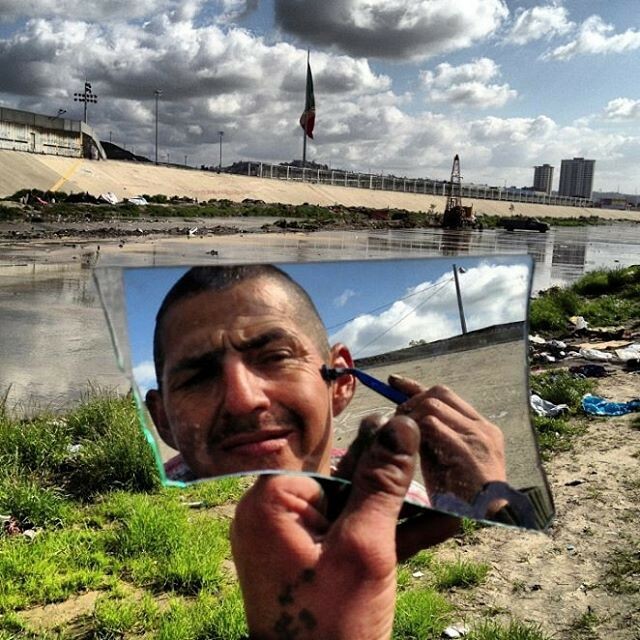 When curating Everyday Everywhere, she selected photographs that did the same: a man shaving his face in front of the US-Mexican border, a Somalian refugee making bread, teenage immigrants from Central America looking at their cell phones, Ixil Mayans listening to forensic anthropologists upon the return of 36 war victims. 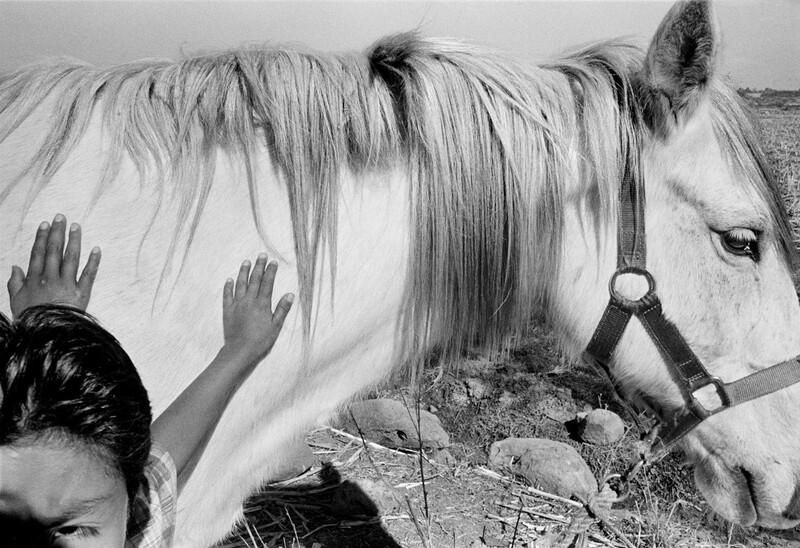 “What I was trying to do was marry visually very strong imagery with political, social and economic contexts. I didn’t want it to be about nothing. I wanted it to be about the issues that we’re facing every single day,” said Stella of her curation. 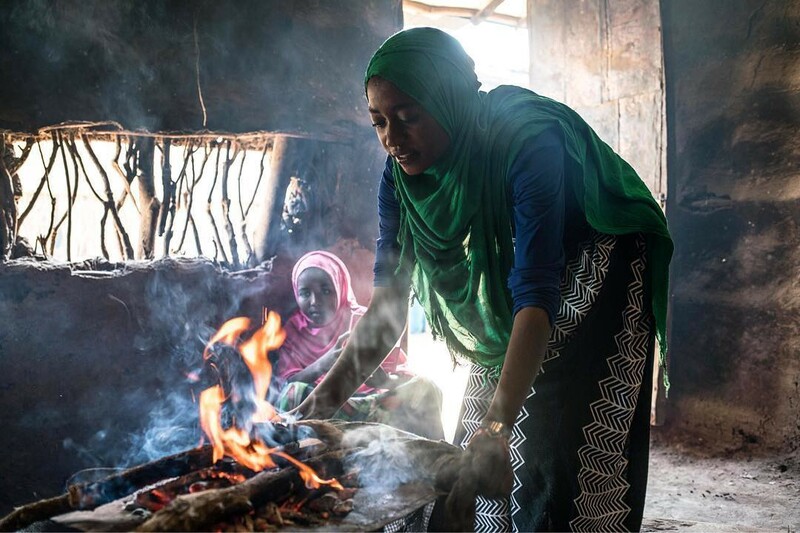 For her, many of these issues are personal. On the island of Lesvos, where her grandmother emigrated from and where many in her family still live, residents opened their doors to thousands upon thousands of people fleeing war and poverty in what has been the largest displacement of people since World War II. 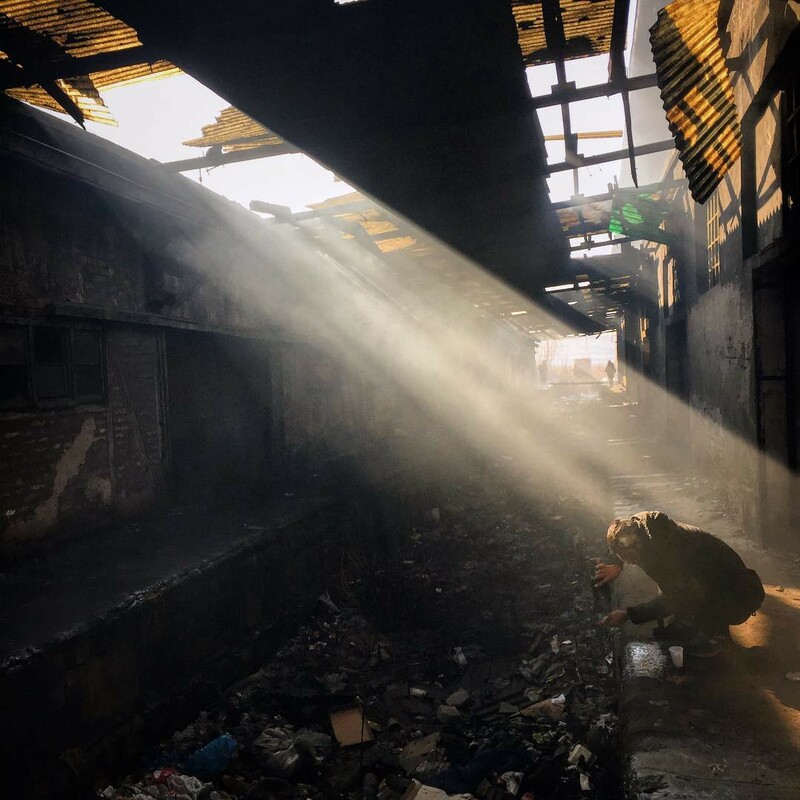 “A refugee washes himself in an abandoned warehouse where he and others have taken refuge in Belgrade, Serbia.” Photo by Muhammed Muheisen, @mmuheisen. Selected by Stella Johnson during her curation. An image of a refugee bathing under a shaft of golden light in an abandoned warehouse by Muhammed Muheisen really struck Stella, who said it was hard to pick just one of his images. @EverydayEverywhere invites guest curators to select their favorite images on Instagram hashtagged #EverydayEverywhere. If you’re interested in curating, please get in touch: contact@everydayprojects.org.